I offer Krav Maga personal training sessions in South London (Peckham, East Dulwich, Forest Hill) to improve your fitness and your cardio while developing useful combat and self-defence skills. One-to-One training sessions allow to maximise the workout while minimizing the time. In other words you optimise your time and schedule the sessions when it best fits your own schedule. Private Training is about having a personalised programme. A programme that is specific to your goals, your level (both physical and technical) and that will precisely target your weaknesses while building on your strengths to ensure optimal progression. Your instructor will come up with specific drills which will address specific points in your training and development. Training directly with an instructor ensure you do every move properly. Trainers pay attention, they cue both your mind and your body and help you achieve your goals more quickly by making sure you are doing each exercise correctly. Your instructor only cares about you and your success and each hour spent with him is an hour to focus on you and only you. He'll provide consistent feedback to help you better yourself. Most importantly, he can do this without making you feel inadequate or judged. He will always support you and push you while helping you see all your achievements, big and small, even when you can't see them yourself. The the most important benefit of all is results. Working with a trainer will allow you to achieve the results that you cannot achieve on your own. Each person’s goals are extremely personal. Whether it be weight loss, injury rehab, or companionship. A trainer is going to develop goals that will lead you down a path to success. 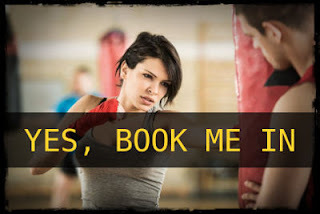 Why would I go for krav maga private training instead of the usual fitness sessions? The real question, though, is: Why wouldn't you? After all there must be a good reason why boxing drills are so popular with Personal Trainers. Like common personal training sessions, Krav Maga Private lessons will get you fit, improve your cardio and your general athletic condition. Martial Arts are all about movement, coordination and balance. From the ground to stand-up positions, you'll execute a wide range of movements that will make you work on your balance and coordination. One common thread running across all fighting systems is the quest for efficiency in body mechanics. To put it simply, fighters and martial artists all try to optimise their movements in order to develop more power while using less energy. "Kinetic linking" -the process by which multiple muscle groups work in sequence- is particularly emphasized in combat sports and was made particularly popular by Bruce Lee movies! Having to move your body precisely to respond to someone else actions and having to adjust your moves depending on your opponent distance (kick when far, knee when close) will improve your perception (and awareness) of 3D space and your ability to move in relation to objects and people. An obvious one that doesn't require more explanations. Let's just say that Krav Maga training will make your sharper and faster! As kids we spent lots of time playing on the ground, doing rolly-pollies, jumping, crawling, etc. As we grow up we lose that connection. Most adults don't know how to negotiate a fall to minimize the risk of injuries and they don't know how to get up quickly and safely. Ground fighting is a big part of the Urban Krav Maga system that I teach, so these aspects are well covered. One of my clients once fell on the slippery floor of his bathroom and saved himself from a trip to the A&E thanks to the breakfall techniques we had worked on our previous session. Obviously all these skills can be easily transferred to other activities and help you in other aspects of your life. Still not sure if that's for you? Why don't book a free taster session in the Wednesday group class and see for yourself?